IT'S been almost a year since Stanthorpe lost a treasured and familiar face from the community. Ian Gimm was someone who was a beacon of hope for people living with a disability, proving it's no barrier to living a fulfilled life. He is set to be honoured on Friday, September 14, with a memorial seat and plaque to be unveiled in his honour in the Stanthorpe Plaza. Mr Gimm had a complete vision impairment and required the constant assistance of a guide dog (from Guide Dogs Assoc) for everyday living. He passed away unexpectedly in October 2017. Granite Belt Support Services manager Therese Crisp paid tribute to a friend and a man she admired. "Ian had a long and dynamic history for advocating and lobbying for equal rights, equal opportunities and accessibility issues for people with a disability, not only in our community but Australia wide,” Mrs Crisp said. One of Mr Gimm's roles, in his later years, was that of an Audit Trained User. This role was a key role for qualified people with a disability, auditing organisations alongside a mainstream auditor. "Ian travelled all around Australia in his role... which was absolutely remarkable for a person with a vision impairment completing all required reports to the auditing body and navigating his way around an unfamiliar community with the assistance of a guide dog. 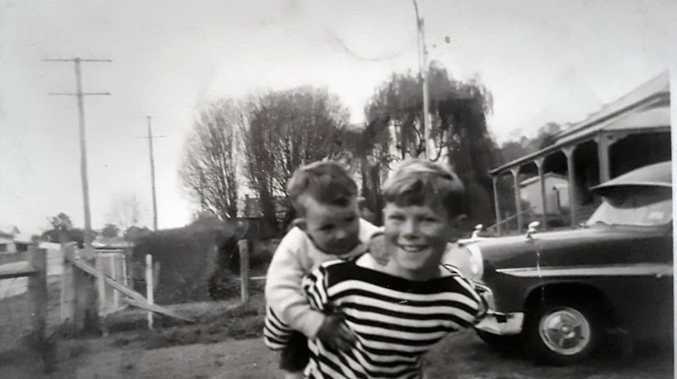 "Ian was held in high esteem and regard Australia wide, and this was evident by those who travelled far and wide to attend his funeral service,” Mrs Crisp said. He was part of many local community organisations and committees and held various positions and consulting positions at every level. He contributed, and was an advisor and consultant for disability issues for the Stanthorpe Shire Council. 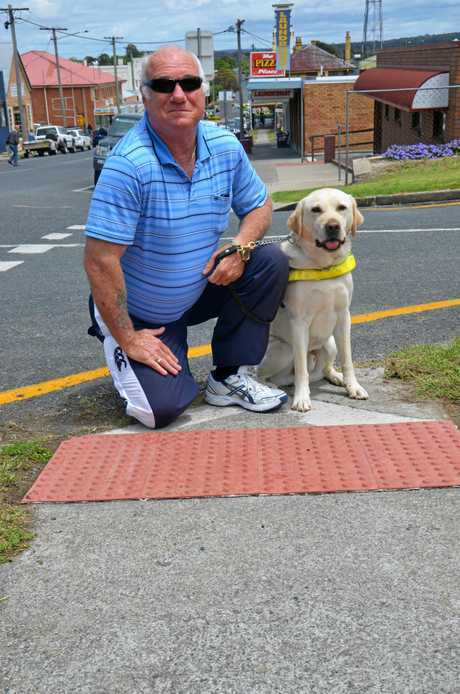 Under the council Mr Gimm was a member of the Health and Building Committee for Disability Access, he worked with the Engineering Department as a consultant, was part of the Transport and Road Safety Committee meetings and was pivotal in providing disability awareness within the council. Southern Down Regional Council has supported Granite Belt Support Services to honour Mr Gimm by funding a memorial seat and plaque in the plaza. "Ian was a real example of someone turning a disability into an ability,” Mrs Crisp said. "He always sought different ways to learn and improve his skills. "What he could do was amazing and inspiring and he was just a true advocate and lobbyist for people with disabilities. "If there was anything you ever needed done, he'd do it. That was just Gimmy,” she said.